Lake Garda is located near the southern foothills of the Alps, in a glacial-tectonic basin. Garda is sheltered from the cold winds; its coastal zone has a mild climate and lush vegetation. It is just halfway between the biggest tourist centers of Milan and Venice. It is very easily accessible from Monaco within 4 – 5 hours by car. It is just 1 hour away from Milan and 40 minutes away from Venice. We’ve been to Garda on a family holiday twice. I can therefore give you some nice tips that would make your vacation both fun for children and pleasant for adults. I recommend you to stay in the small town of Cola di Lazise, ​​next to the Thermal Park of Garda, in «Villa dei Cedri» hotel. 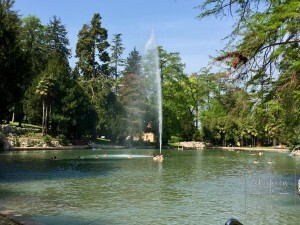 The park has a large man-made lake maintaining the water temperature at 37-39° all year round. It is the Moscardi family who bought these lands in mid 18th century and commissioned the lake. The thermal springs were only found here quite recently. 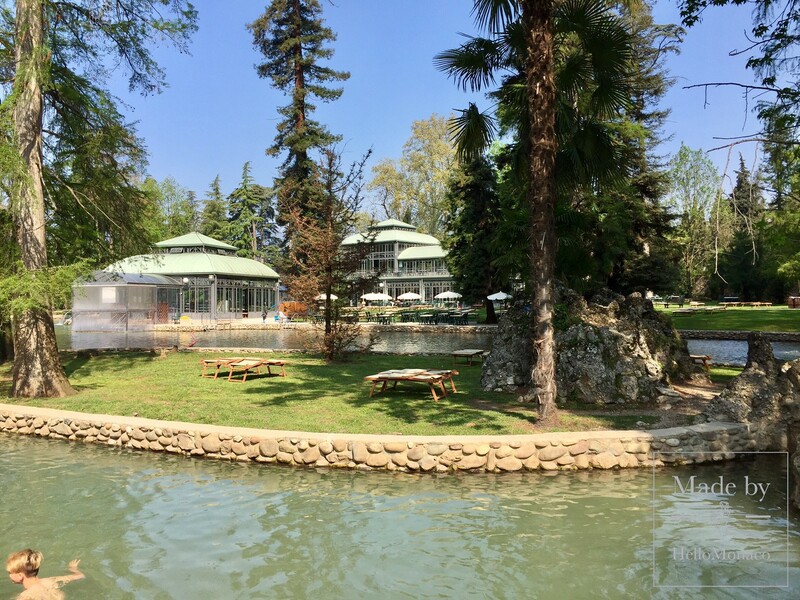 The new owners of the famous villa Cedri decided to dig a well for the irrigation of the vast park. 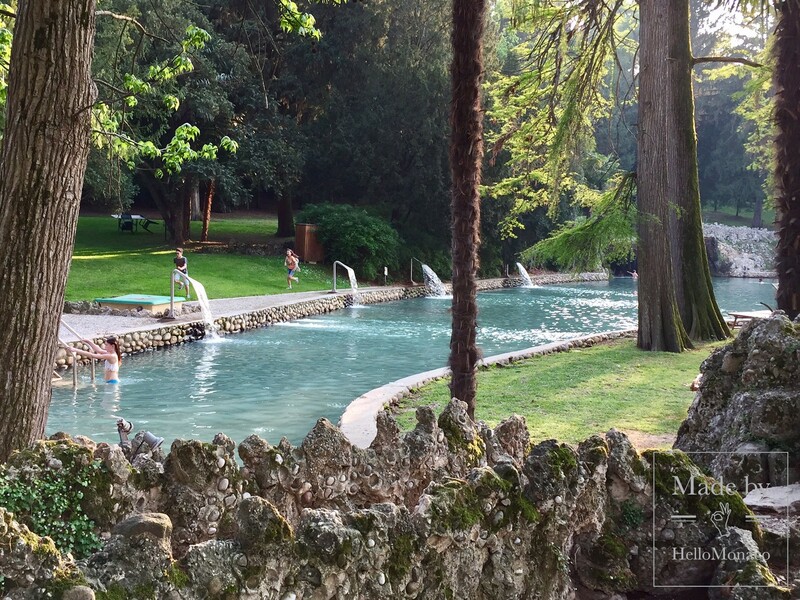 At a depth of 160 meters they found a treasure of hot thermal springs, rich in carbonates, calcium, magnesium, lithium and silicon. A reservoir was then built in this place with water coming up through pumps. 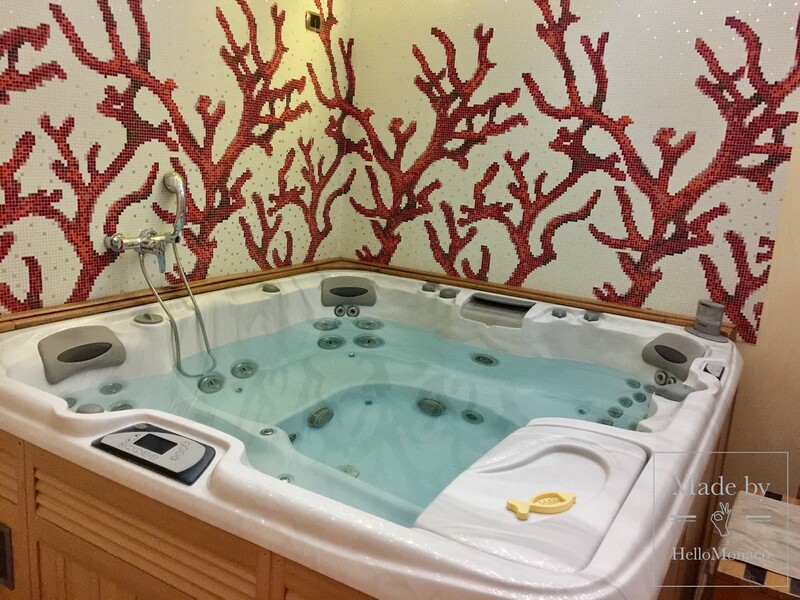 Its many fountains, underwater streams, hydromassage baths are all there to bring you an unforgettable pleasure. The thermal lake is open to public until 11 pm. After a roller coaster with a good dose of adrenaline, bathing in a thermal lake will be just the right thing for you! 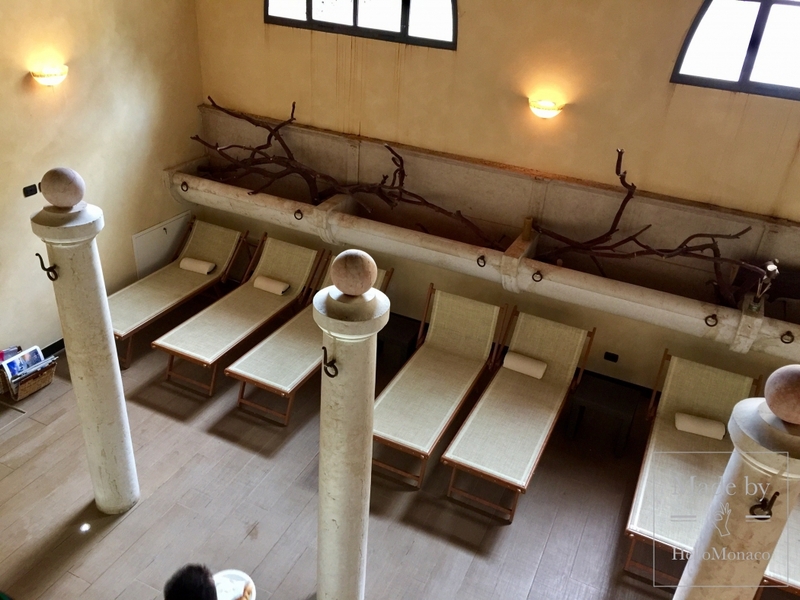 In addition, the hotel has a chic spa for adults with baths, a cold font and a private mineral water pool. A paradise for “exhausted” parents! The hotel rooms are cozy, apartments are also available with their own kitchen if you prefer home food. Although I do believe that Italy is just the place where you are guaranteed to get good food almost everywhere. 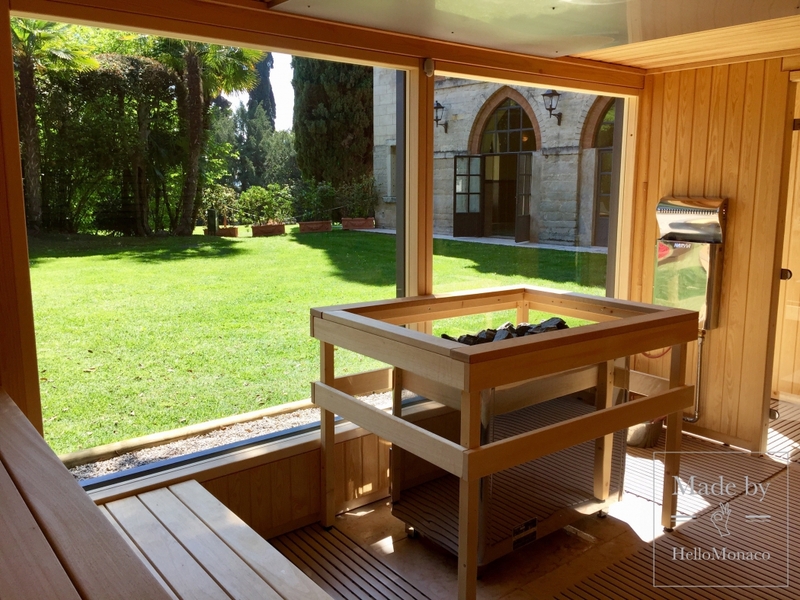 These are just some of «Villa dei Cedri» advantages. Quite importantly, it is located only 5 kilometers away from the Amusement Parks. This is the place where children’s eyes are bright with happiness and laughter. 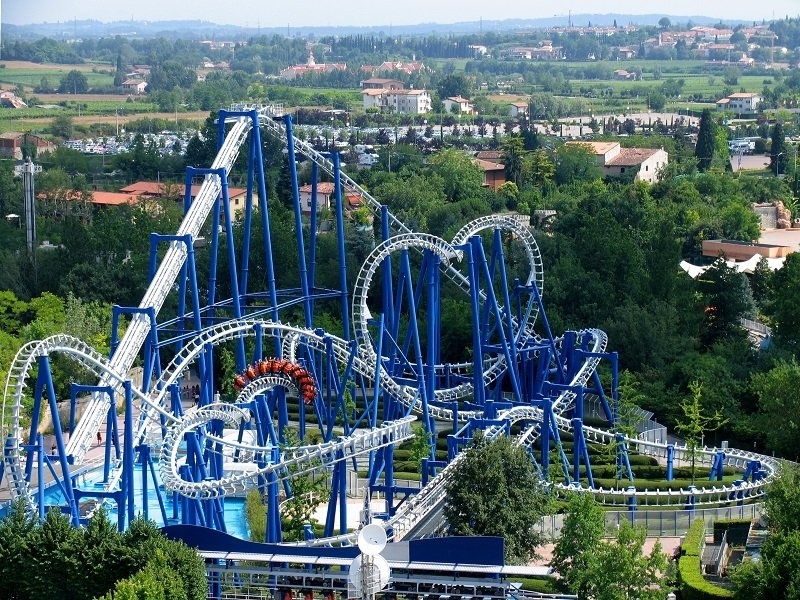 Gardaland is the third largest amusement park in Europe. It is located in the town of Castelnuovo del Garda, two kilometers away from the lake, on a territory of ​​600,000 square meters. 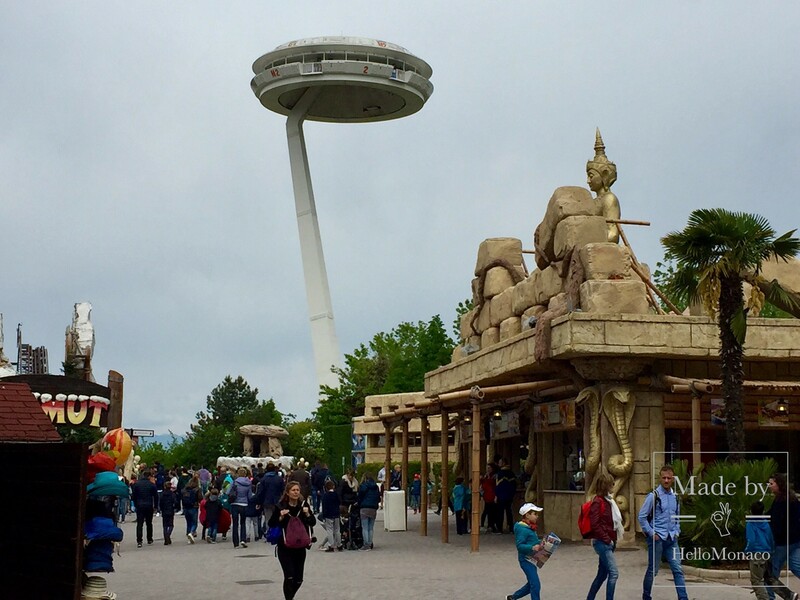 The park is divided into several theme zones: Biramnia, Atlantis, Hawaii, Egypt, East, Wild West, Middle Ages, Space, Sci-Fi and Cartoons. 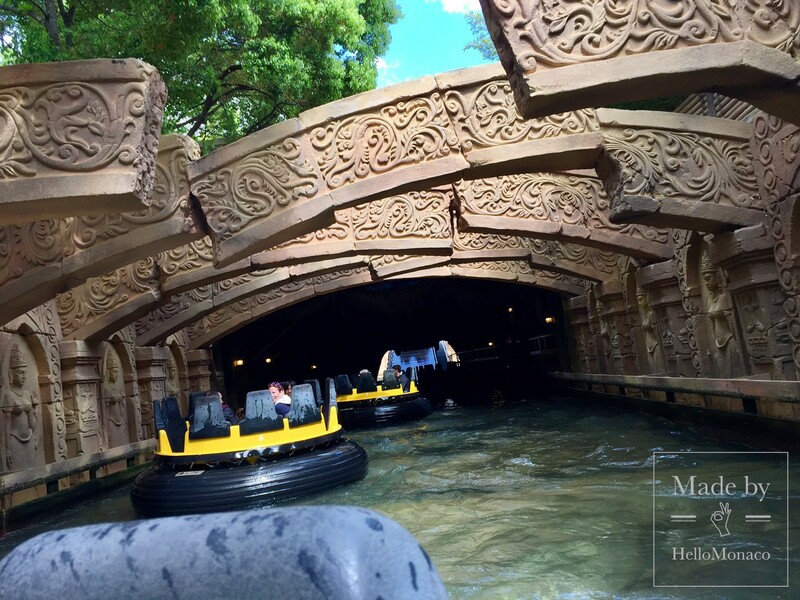 The most popular attractions are roller coasters, Raptor, Mammoth, Sequoia, Blue Tornado, Magic Mountain and others. 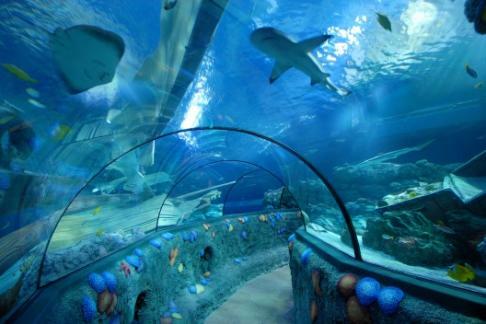 At the entrance to the park you will see a huge Aquarium. It is probably not worth a special visit, but good for an afternoon or another day if you decide to return to Gardaland. A tip: try to plan you trips to amusement parks on weekdays. On weekends and holidays queueing for rides may be an unpleasant surprise. Express pass is also highly recommended. These are extra expenses, but they are worth it. One day pass costs from 32 euros per person. 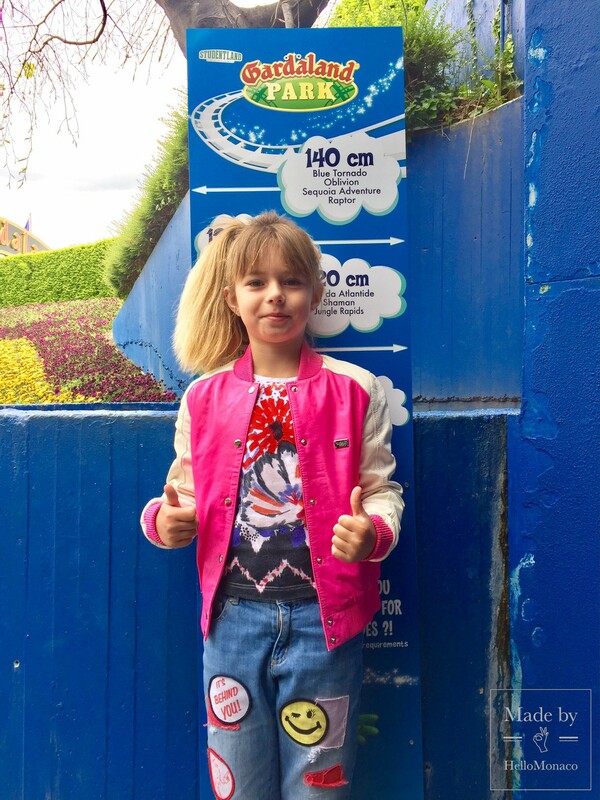 Children shorter than 1 meter tall go for free. Express Pass will easily let you do all the rides and attractions in 1 day. We were pleasantly surprised by the variety of cafes and restaurants in the park: Italian, Japanese, Moroccan cuisine. All the American fast food is there too. Compared to Orlando Park, however, where our children could not even eat French fries, the quality is quite impressive! All in all, amusement parks in Italy can well withstand comparison with the famous ones in Orlando. As far as queueing, ticket prices and food go, they are even much better! 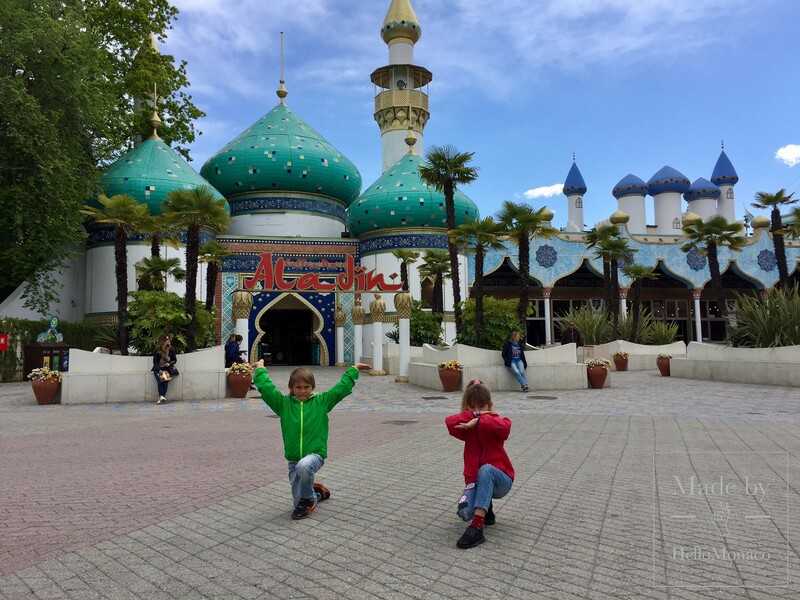 But the active fun for children does not end in Gardaland. Just 5 kilometers away from Castelnuovo del Garda, Canevaworld is waiting for you. 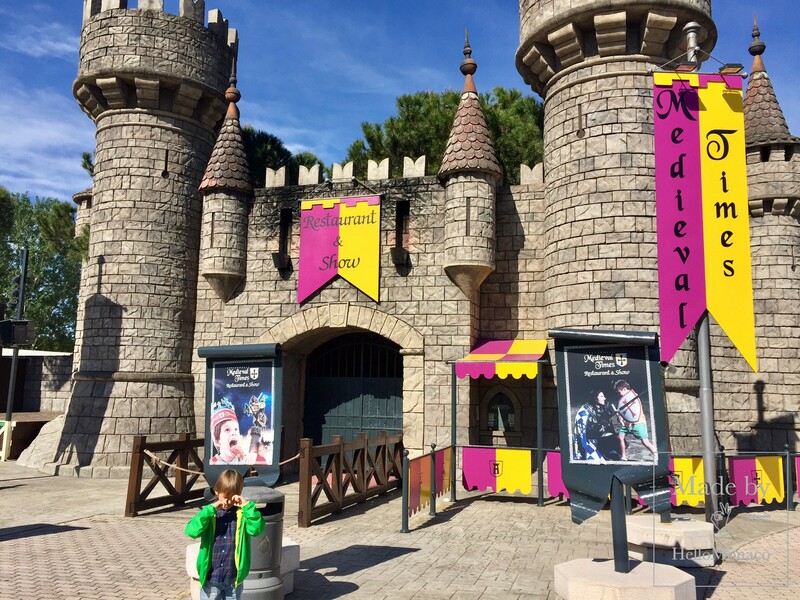 This amusement park is divided into 4 unconnected zones: Movieland, Water park, Night Festival Disco and the Medieval Times Castle. Movieland inspired by Hollywood films is the most popular of them all. It offers a huge number of different attractions divided into a few categories: for the little ones, family and thrill lovers. After a fair dose of adrenaline, adults and children can restore in a number of park’s cafes and restaurants. I would recommend you Medival Times restaurant for your dinner. Immerse into the world of knights and tournaments, all while eating a real medieval dinner without any cutlery. Very soon we will continue our Italian journey and tell you about the places that you absolutely must visit during your trip to Lake Garda.